Architectural Siding, Trim and Roofing, Inc. (A-STAR) was founded in 2001 to provide quality installation of roofing, siding, and gutters to General Contractors and homeowners in Northeast Ohio and surrounding areas. A-STAR has been a signatory contractor with the Indiana-Kentucky-Ohio Regional Council of Carpenters since 2003, and is dedicated to providing quality employment for our team members with a focus on safety. A-STAR has successfully completed projects up to $2,000,000 and is licensed, insured, and bonded. Please visit our completed projects list for more information. Are you tired of working in a dead-end construction job, with no concern for your safety, piecework pay, no benefits, cash or 1099 payroll? If you are interested in a CAREER in roofing and siding, CLICK HERE and complete our simple, online Employment Application. This will start you on the path to the best construction job you have ever had! A-STAR is an industry-leading roofing and siding contractor and we have been working in Northeast Ohio for 17 years. Fill out our online employment application today for immediate consideration. Are you working in a dead-end construction job, with no benefits, cash or 1099 payroll, no concern for your safety? Click below, or on the Employment Tab located at the top of any page and complete our basic Application for Employment. You could be on your way to the best job you have ever had! SANDUSKY, OH - The A-STAR crew hard at work at the Hotel Breakers, working to get newly renovated building ready for the upcoming season at Cedar Point. A-STAR has been involed in the Hotel Breakers renovation project every step of the way since it's inception in 2013. 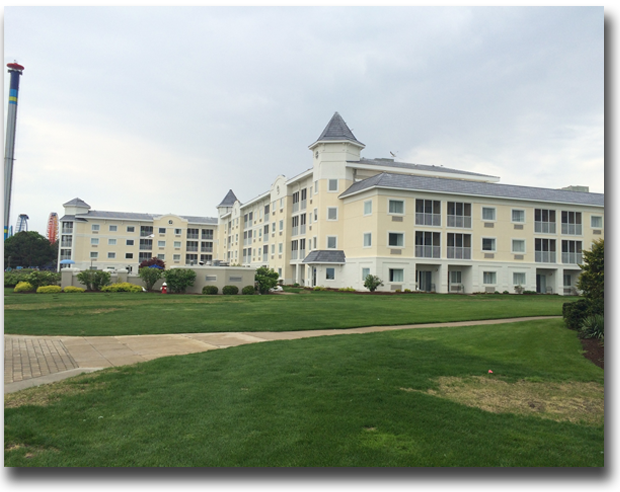 From the Cedar Point Website: New for 2015 - Welcome to a re-styled, re-imagined and re-freshed Hotel Breakers. The hotel has been completely refurbished from the ground up in 2015 and we are excited to welcome our first guests beginning in May. Located just steps away from Cedar Point, The Roller Coaster Capital of the World!, the park’s signature Hotel Breakers will be the perfect place to stay after a perfect day. Trusted by NE Ohio Contractors and Homeowners since 2001! K Guard Leaf Free, Seamless 5" and 6" K Style, 7" Box Gutter, Half Round 5" and 6", Shop Formed Gutters in Aluminum, Steel, or Copper.